Express your Irish heritage with these delightful Shamrock earrings which are artfully encrusted with Swarovski crystals and include a gold plated leaf for an unexpected pop of fashionable allure. Take one glance at a shamrock and it instantly brings to mind all of the wonderful things that make Ireland a special place: the gorgeous landscape, the kind people, and the engaging culture, to name a few. Noted throughout historical writings for the fields of clovers that dotted the hillsides, the shamrock has over time become the national symbol of Ireland, and is a popular choice for organizations and individuals alike to show their connection to the Emerald Isle. With the strong symbolism and connection to Ireland, anyone who is proud of their Irish heritage would be thrilled to receive these dazzling earrings as a gift. 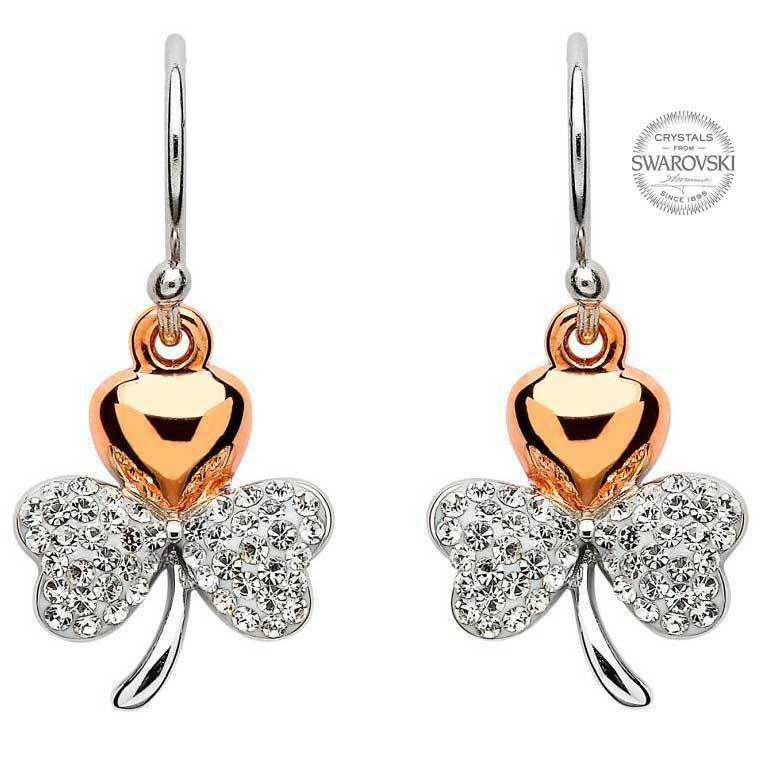 The earrings can be paired with a matching Gold Plated Shamrock Pendant, that is also decorated with crystals from Swarovski, to create a stunning set that is perfect to wear for any occasion.